New Moon Poster. . HD Wallpaper and background images in the The Twilight Saga New Moon club tagged: new moon edward bella jacob movie twilight robert pattinson kristen stewart. 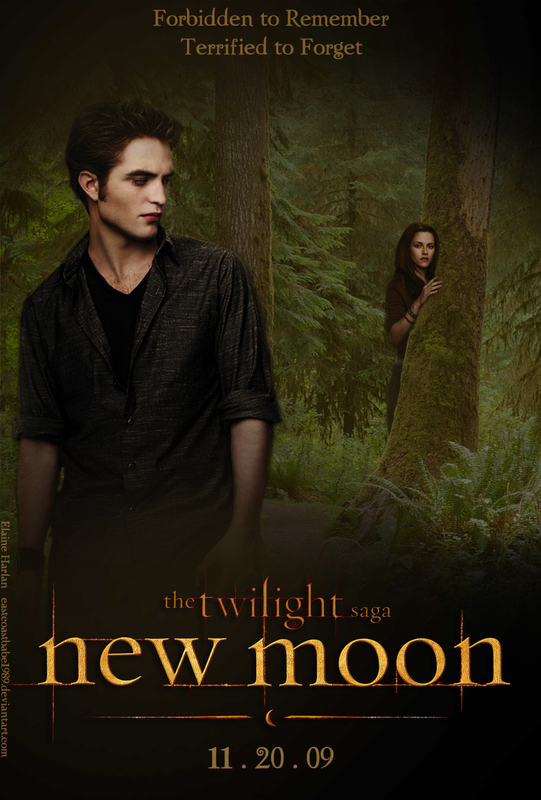 This The Twilight Saga New Moon fan art contains ishara, bango, maandishi, ubao, matini, ubao wa chokaa, anime, comic kitabu, manga, cartoon, and mkono. There might also be gazeti, karatasi, magazine, tabloid, rag, jarida, tabloidi, and limemalizwa.